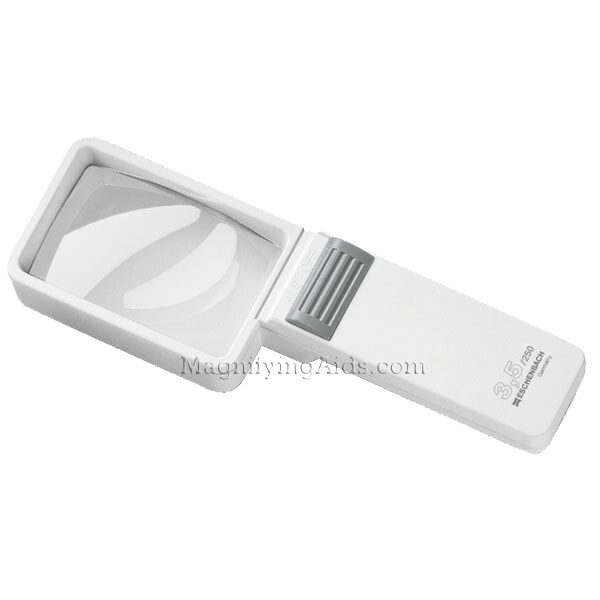 Eschenbach Illuminated Hand Magnifier (3.5X / 10D) provides magnification and illumination for spotting tasks. It's ideal for in home uses such as looking up a phone number, setting the thermostat or reading the prescription on a medicine bottle. Portability makes it useful for spotting a price in the supermarket, reading the menu in a dimly lit restaurant or looking at a map in the car.